Every year, hundreds of thousands of individuals, many of them children, are bitten or mauled by dogs. California law about dog bites is known as a “strict liability” law, meaning that the dog it does not need to be known as vicious or dangerous for the pet owner to be held accountable for injuries it causes. The Law Offices of Suizi Lin, we are experienced personal injury lawyers who are committed to helping people achieve the financial recovery they need after serious injuries. Insurance companies sometimes make light of the injuries caused by an animal, but we know that dog bites or other domesticated animal attacks can be severe. A dog bite is a puncture wound, which means it introduces bacteria far below the skin where it can cause serious infection. Dog bites can also cause a tearing injury that does not heal well, leaving lasting scars. And dogs often attach critical areas for arteries and nerves, causing massive bleeding and nerve damage. Children, who are least likely to understand the danger posed by a dog, are the most likely fatal dog bite victims. The law views dog attacks on small children somewhat differently than it does adults. A dog owner is expected to keep control of his or her animal at all times. That means keeping the animal on private property or, if the animal is in public, keeping it under direct control. 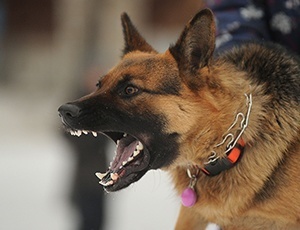 The property owner can be held accountable for dog bites to people lawfully on the property, including mail carriers and delivery people. If you were bit by a dog, mauled or knocked down and injured, you may be able to seek recovery for your medical bills, suffering and lasting scars or nerve damage. Contact an experienced Northern California personal injury lawyer at the Law Offices of Suizi Lin online or by calling (510) 689-1988. We help injured people bring premises liability cases for pet owner negligence anywhere in the Bay area.